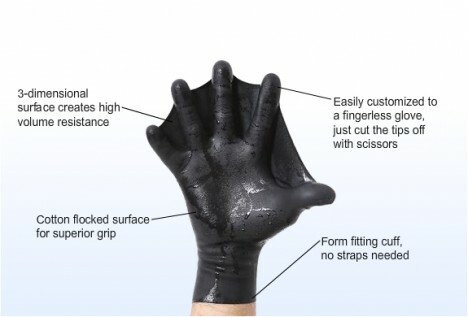 Darkfin Gloves and Swimming Fingers differ in their aesthetics, but both serve the same purpose: to turn your hands into swimming machines, much like swim fins do for your feet. Each broader movement requires slightly more push, but gives you a lot of pull within the water. 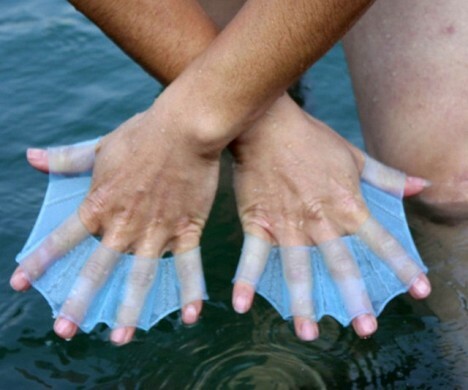 The clear silicone variety are lightweight, translucent and simple to slip on or off, giving you frog-like traction when you pull yourself through the water. 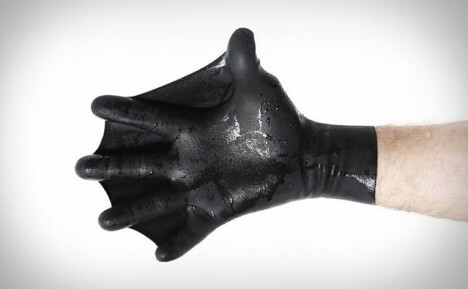 Great for surfers and divers. 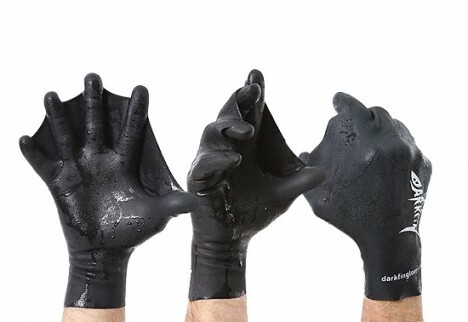 The Darkfin Glove set is a bit more intensive (and expensive), but works on similar principles, letting you grab more water with each stroke and propel yourself even faster below the waves. They boast comfort and flexibility, as well as a 70% increase in swimming power. See more in Various Gizmos or under Gadgets. April, 2016.